The Village BMX Bike Store & Indoor Skate Park, Brisbane. The Village BMX Park & Supply, open since 2015 is owned & operated by Pro BMX riders who are mad, crazy and passionate about their sport! They eat, breathe and talk BMX non-stop! You may remember the old Ride On BMX store that was here - well we've taken over and improved it all. Come and check us out and let us know what you think! When you come to our store or skatepark, you'll be able to chat to our pro riders and get advice about the BMX gear that's just right for you whether you're into freestyling or racing - we've got your needs covered. In the store, we carry a huge selection of BMX bikes, BMX frames and BMX parts. Check out our various BMX bike brands like Colony BMX and wethepeople BMX. We can cater to all levels of BMX riding ability, for all age groups from kids to adults and that suit all budgets. In store you'll also find all the accessories you'll ever want too like BMX helmets, BMX cranks, scooters, skateshoes, t-shirts, gloves, gear and more. If you'd like a fully custom BMX bike built for you - no problem! Here's the great news... we also have a world class indoor bmx skatepark too. If you're a new rider looking to learn the basics of BMX riding or you want to conquer that new trick, you can book in a coaching session with one of our BMX Pro's. But if SCOOTERS is your thing, our dedicated online scooter store SCOOTERVILLAGE.com.au has the best and largest range of Complete Scooters, Parts & Accessories in Australia. be sure to check it out & follow scootervillage Instagram & Facebook to stay up-to-date with all things Scooters! 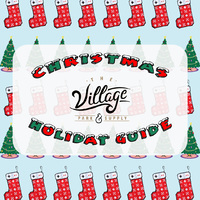 There's always plenty happening at The Village BMX Bike Store and Skatepark! 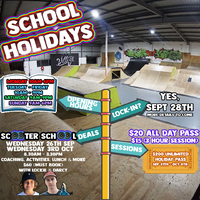 We regularly have jams, comps, school holiday lock-in's, giveaways & visiting Pro BMX riders. If you can't get to the Village BMX store here in Brisbane, don't worry- you can get all your BMX bike parts & BMX gear on-line 24/7. Your purchases will be shipped to your door anywhere in Australia and around the world super fast. We really support local talent, so keep sharing with us your pics and telling us what your up to. Some of our local BMX riders have gone on to become serious players on the international circuit! For anything and everything BMX ,whether you just need a place to ride, a quick bike fix or you're chasing a whole new custom BMX bike setup, drop us a line anytime on the details below, or call into the The Village BMX Park & Store and our staff will get you sorted.